Anatomy of the carpal tunnel can be easy to understand if you remember we are dealing with a tunnel of sorts, or a canal like structure in your wrist...And seeing pictures always helps! The anatomy of the carpal tunnel is such that you have 8 small wrist bones called carpals (pronounced-Car-pulls) that make up 3 sides of the tunnel and a thick rubber-like ligament called the TRANSVERSE LIGAMENT, (or sometimes referred to as the Transverse Carpal ligament)..this ligament makes up the other side. So, as you can see the Carpal tunnel anatomy is kind of like a ring or a tunnel. See why it's important to have good CARPAL TUNNEL WRIST BRACES of high quality and that are comfortable to wear. 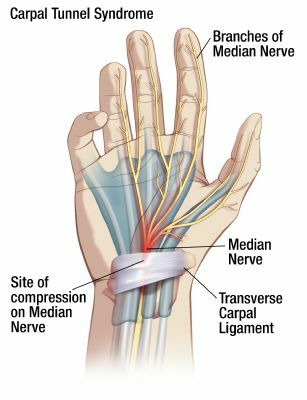 The main problem in carpal tunnel syndrome (CTS) is that pressure is put on a nerve, the median nerve ....YOU WILL learn more about this nerve as you go through this site. For more information on Anatomy of the CARPAL TUNNEL The median nerve actually STARTS and EXITS from your NECK BONES called Cervical vertebrae (pronounced Ver-tuh-bray)..the median nerve then travels through your shoulder, arm, elbow, and wrist and then finally branches out into your palm and goes to your thumb and first 3 fingers. In order to do this, however, it has to pass through the carpal tunnel in your wrist. The median nerve would have lots of room if it was the only thing going through this tunnel, BUT the anatomy of the carpal tunnel is such that the tendons for your fingers also occupy this same space. As you can see from viewing the pictures of the carpal tunnel anatomy, the tendons and muscles (which can become inflamed and swollen) are fairly close to the surface of your wrist....with the palm up you can feel and sometimes see your tendons move with finger movement. If you are having carpal tunnel symptoms, then you probably have some inflammation and swelling going on within your carpal tunnel. 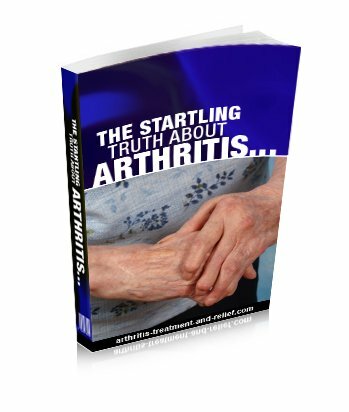 See more information on all the Nonsurgical Treatments As you will learn, there are many Carpal tunnel syndrome causes ...and YOU will see how important the anatomy of the carpal tunnel is and how it can even effect who might get CTS.